The product looked decent enough. 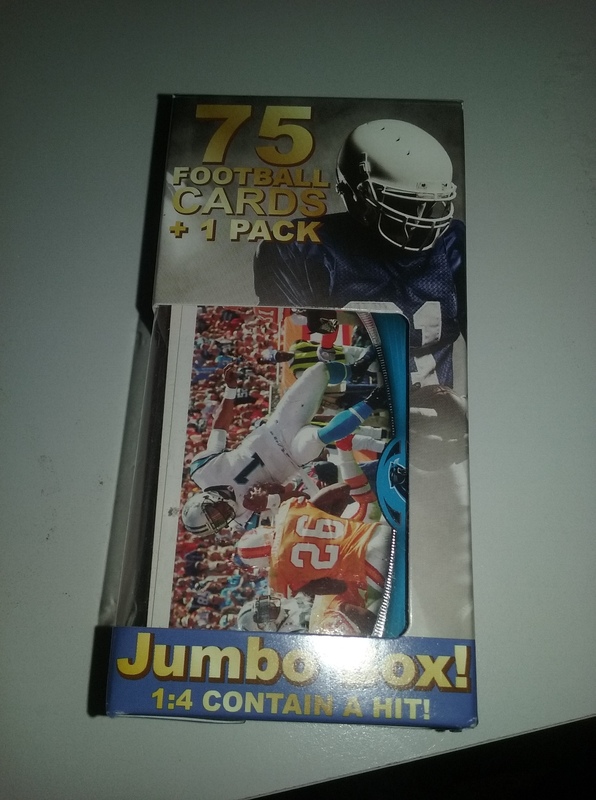 The Panthers fan in me was driven to buy the box because the card shown was Cam Newton. Combine that with the fact that I liked how they treated me and I thought that there was a match made in heaven; I wish. Check out the gallery for the cards. I posted more than I usually do, with commentary. Overall: I should know better. I need to move on from Fairfield. For this product, you are paying exclusively for the chance at a hit. Not worth it at all. I did get some cool Panthers cards at least. The crazy: Lawrence Phillips, “The Hoss,” and a guy named Bubba. 2 thick cards. The Alvin Harper card feels like it is plastic stock. A card from 1977, complete with writing on it. Coaches and a future coach. Of the 75 cards, a good third was rookies. This wouldn’t be Fairfield without duplicate cards in the box. Of course the cheapest pack imaginable. Do they know they gave me an insert? Okay it is worth 40 cents, but that’s a lot for a Fairfield product.